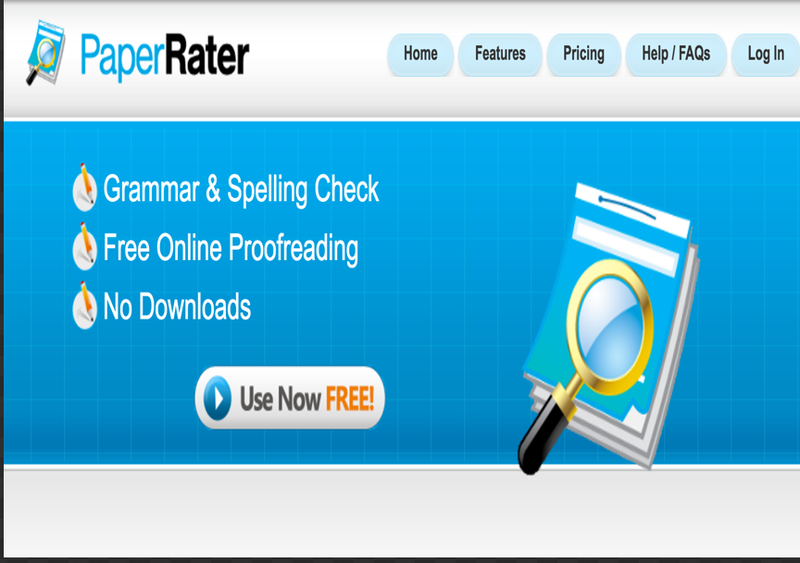 PaperRater is a free plagiarism checker and automated proofreader that uses artificial intelligence to help students become better writers. Students submit their text and receive customized feedback on grammar/spelling mistakes, word choice, sentence structure, plagiarism detection, and even an automated grade. This turns writing into an iterative process similar to a game in which students are encouraged to submit multiple drafts to improve their score with each submission by applying the customized feedback that PaperRater offers. The end result is that teachers spend less time teaching students the basics of writing and can instead focus on helping students with higher level writing concepts and organization of ideas, while encouraging students to spend more time in the writing process. The service is simple to use -- just copy and paste your text, mark a couple of other fields, and submit. No signups, no logins, no payments necessary. In addition to the automated proofreader, there is a standalone plagiarism checker for those that just want to see how original their text is. The originality detector uses the trillions of web documents collected by the search engines to power its algorithm and ultimately give the end user a score indicating just how original the input is. A premium version is offered for those seeking greater accuracy, more features, and longer document lengths. By Justin Fister from PaperRater (this is not a sponsored post).